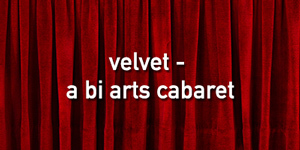 Welcome to Toronto’s second annual Bi Arts Festival, the world’s largest celebration of bisexual voices in art and culture. September 23rd is a special day. On that Sunday, we will be joining with communities from around the world to celebrate the 20th annual “Bi Visibility Day” - a day for being both gloriously and deliciously bisexual as well as unapologetically out, loud and proud. The Bi Arts Festival was born from a belief in the power of storytelling. When shared with an audience, stories can and do change lives. But too many stories are left untold, unspoken, unshared, or unheard. Although bisexuals make up the largest slice of the pie that is the LGBTQ2SA+ community, we are often invisible. 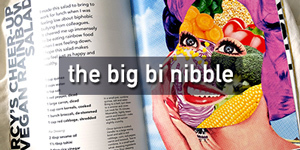 In response, the Bi Arts Festival offers six days of vibrant and original programming - including visual art, craft, storytelling, performance, theatre, video, dance and the launch of the second issue of our zine, CRUSH. Our events are creative, playful, impactful and transformational. We look forward to seeing you! Join us at this free, fun hands-on workshop where you will learn to make a short video that tells the story of YOU. more info here. Join us at Toronto's first bi+ book club - open to all bisexual, pansexual, fluid, polysexual or other non-monosexual folks. Each month we pick and discuss a new book, from poetry to fiction, from non-fiction to memoir, and more. Friendly discussion with new friends. Accessible space. A few tables have opened up for bisexual-identified artists, makers & craftspeople for a special one-day market. Our focus is handmade & hand-crafted, including zines and art. Email biartsfestival@gmail.com for more info. The 2017 Bi Arts Festival was held September 22-24, 2017. We celebrated with a pop-up market, two art shows (D-Beatstro and Glad Day), an author showcase, Franny McCabe Bennett's one-woman show SMASHES, a wiki edit-a-thon, our zine CRUSH, and a showcase of short film and video. Check out last year's website here. We couldn't do this work without the support of our amazing community and private partners. The Bi Arts Festival works with community groups, small businesses, and brands, both large and small. 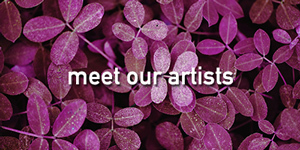 When you partner with us, you get access to our team of artists who will work with you to develop unique and creative ways to showcase your business or organization. We love to develop custom experiences that reflect both your brand and capture the excitement of this young, growing Festival. Let's start a conversation - write us at biartsfestival@gmail.com. 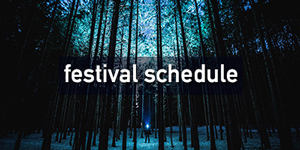 The 2018 Bi Arts Festival is supported by the Toronto Arts Council with funding from the City of Toronto.